For the New Year is mainly trying to go south if we’re not skiing. But this year they have encountered some cheap tickets for Holland and I bought them, of course, bought on impulse. Later I realized that we would be cold. So it was. The plane was late, and after barely touched down, the fog was terrible, but it will not prevent us to be glad and laugh in the mood in the New Year. Accommodation I booked to the island under the Erasmus bridge from which at midnight expects a “National Fireworks”, as the Dutch call it. The first beer to the pub, and then at midnight the fireworks. As I said, the fog was that the soil from eye has not seen, but there was no force that hinders us to witness the beautiful fireworks from the bridge and the ship which is organized by the city. The next morning, while everyone still asleep, we went on a tour. Nature, we plan and, if the weather holds, we will see much of the city. I’m not the first time in Rotterdam, visited him some five years ago, and then I liked. Yet this is one of the busiest ports of the world. Start walking on the island Noordereiland. This is a residential area where artists live. It’s nice to walk its circumference, sink because it provides a beautiful view and a new business area and the city center. In the central part of the island is the mast, and the last part of the island lights. Island symbolizes the ship who, locals say, one day sail. Over red bridge in no time you are in the city center. First you get the attention of the cube of the house. 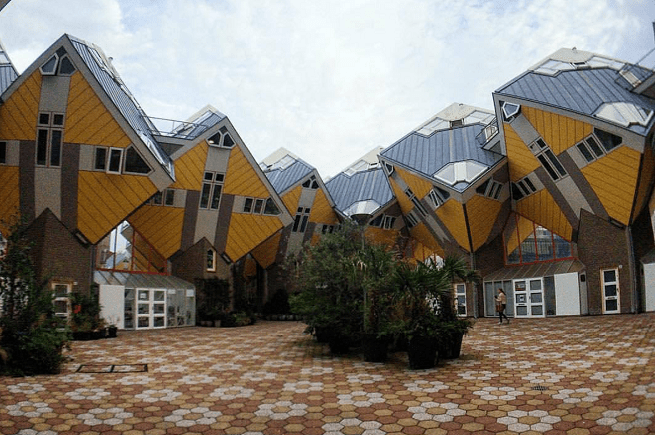 Kijk-Kubus, cube houses, rely on a supporting pillar, while the walls are at an angle of 45 degrees. In the series there are 32, and one of them is open to visitors. Right next to them at the railway station is market. As in all countries of the far north of Europe, they are closed. This is a specific becouse, after the building in which the drink is made in crescent in the central part of which is hollow is market. If you go down the stairs to the electrically-powered, at each level you will encounter an exhibition of ancient pottery; as you descend down to the older period. Market is very interesting and if you were wondering: yes, we had to eat herring with onions (not heat treated) as required by tradition and custom. In the arch of the building is flat, so that the block itself is very interesting. 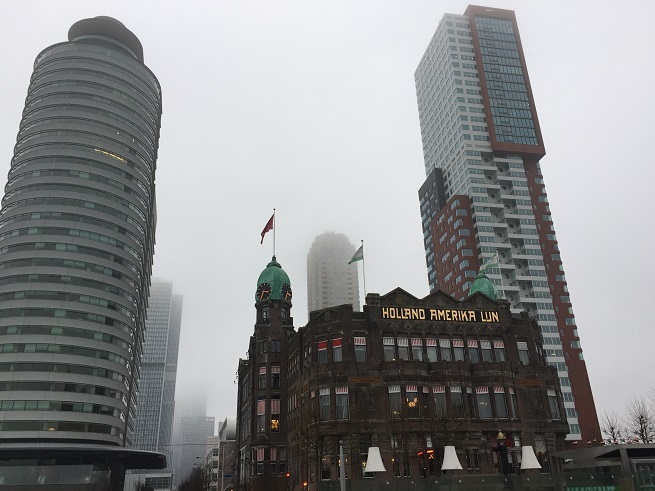 Rotterdam is different from other Dutch cities because it was demolished to the ground in World war II, so it can see a lot of high-rise buildings of modern design. 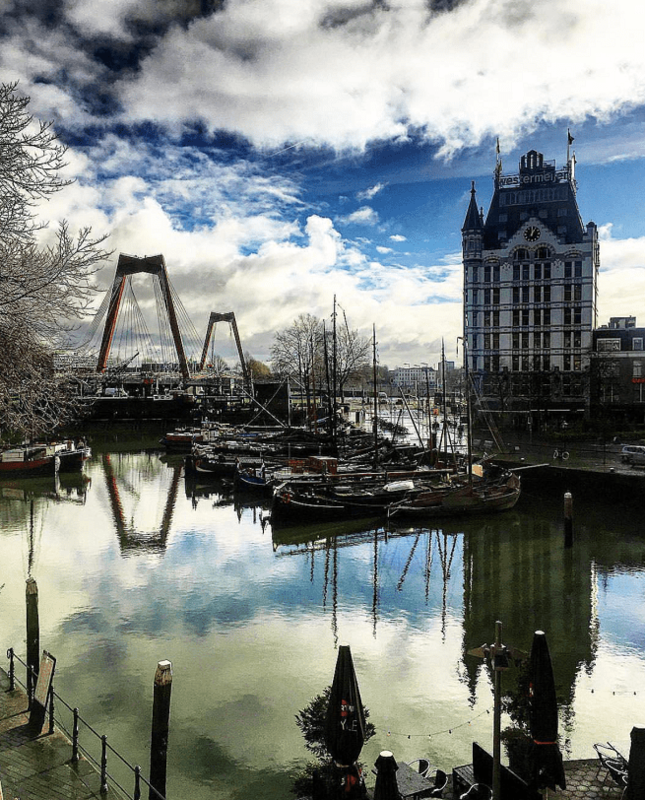 Rotterdam is a beautiful city with wide streets and plenty of shops. On the streets there are no crowds and is not overcrowded with tourists. The city gives the impression of real metropolitan. Located at the confluence of the Rhine, where flows into the North Sea. 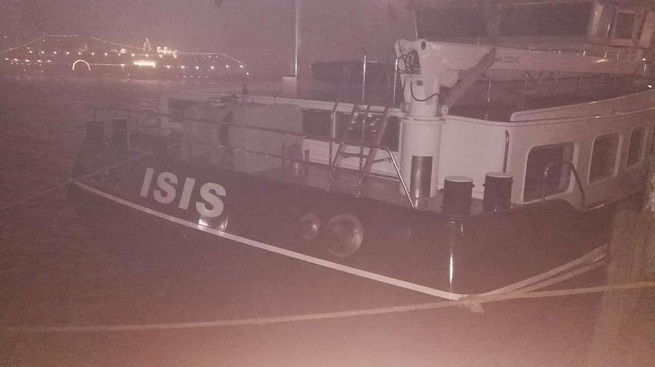 Port is great, is not very interesting unless you run into some big ship that is docked and called ISIS, as was the case with us. 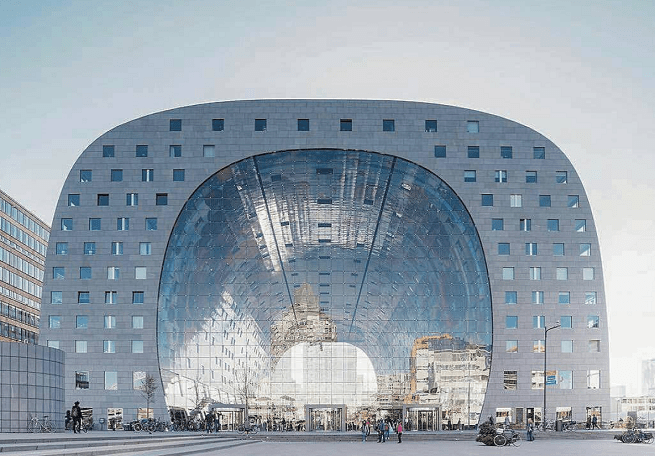 Center Rotterdam is full of art and sculpture. In addition to the art on the streets, the city is home to the famous museums. The entire city center as if it were from another planet, to the city of the future, with its futuristic appearance. The city, as well as the whole country, built from numerous dams. When you start again from the center to the river, you will come across Erasmus bridge. The Dutch still call “swan”. 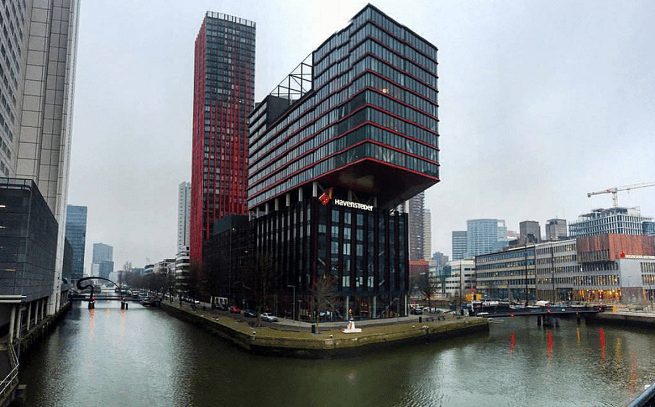 This monster was built in 1996, is 138 meters high and connects north and south of Rotterdam. Rotterdam is often called Manhattan on the river Maas. Maas River passing the newly built part of the city Kop van Zuid, where there are many skyscrapers. You can enjoy the view of beautiful skyscrapers from almost any angle. What makes this part of the specific hotel New York. From there, thousands of emigrants went to North America in the hope of a better life. From here you can see a nice Euromast tower which is located near Het park and the harbor. High is 185 meters and it is located gazebo which offers a spectacular view. However, that day was foggy so we unfortunately have to lookout to skip. The side of the hotel there is a bridge for pedestrians and bicycles, and when you cross over, you come to the part of town called Katendrech. Here are the old warehouses that have been turned into clubs. Many global DJ right here super party. Reminiscent of the wild Berlin, which I love very much but I especially liked Katendrech. The fact is that this is a seaport, where for centuries people come from all over the world, of all faiths and races. Thus, Rotterdam has become a cosmopolitan city, and at every step full of freedom and tolerance. In Rotterdam live differently. Rotterdam is situated 70 km from Amsterdam, 30 km from Den Haag, 150 km from Brussels and 400 km from Paris. Good connections makes it a city to explore Europe, because for a few hours you can be wherever you want. You thought that the Serbs are friendly? This means that you have not been in Lebanon !! !